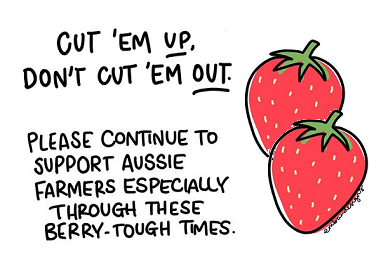 In late 2018, the Australian Berry Industry was thrown into pandemonium with the deliberate sabotage of hidden needles in strawberry punnets. As soon as reports of needle contamination emerged, A&D Australasia was able to act swiftly and provide assistance and metal detectors to the farmers and packing facilities affected by this sabotage. During the first week, all of the metal detectors stocked locally were despatched to several States in Australia, and A&D Company were able to provide further support by fast tracking new System stock orders from Tokyo by air. As a company, A&D Australasia decided not to pass on any additional costs to growers and absorbed the substantially higher cost of air freight versus sea. Another challenge that quickly emerged, was to ensure that there were enough inspection trained technicians in the field to deploy these systems. Metal Detectors can be lot more complicated than most people would appreciate; it has to be setup for each site/application and staff need to be trained on how to use it day to day. If the systems are not setup and used properly it can cause further problems for the production process, either by potentially missing contaminants or conversely, rejecting product that is completely fine. Further to this, A&D Australasia were contacted directly by major Australian retailers including Woolworths and Coles, and were able to deploy loan units to major distribution centres storing tonnes of packaged punnets that were between farm and shelf. A&D technical staff were also on hand to assist with training and education. Our immediate response, open communication, and tools like online educational videos, has cemented A&D within the horticultural sector as an ‘Inspection Systems Authority’. A&D’s growing recognition amongst the Australian Food Industry stakeholders, resulted in our participation in a Government initiated roundtable discussion group to improve Australian and New Zealand food safety standards, and to investigate supply chain weaknesses. Food Standards Australia New Zealand (FSANZ) has recently released that report on lessons learned in the aftermath of Australia’s strawberry tampering crisis. The FSANZ published report can be read in full here.